The first phase of the Silver Line, including five new Metro stations in Northern Virginia, is set to be "substantially completed" in November. 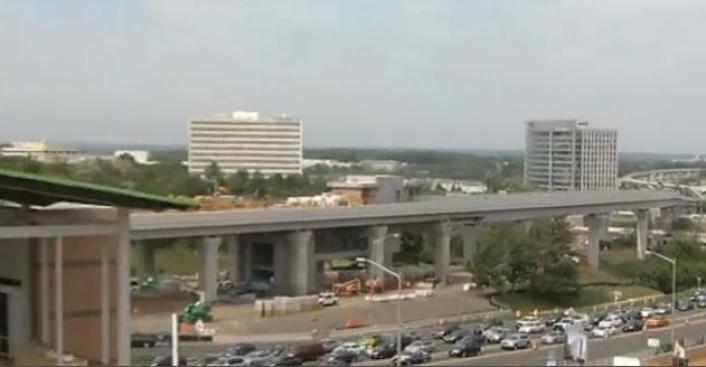 The Metropolitan Washington Airports Authority said at that point, the project will be turned over to WMATA for testing -- the new stations, four of which are in the Tysons Corner area, are slated to open in early 2014. The line will run from Falls Church, Va., to Wiele Avenue in Reston, Va. The second phase of the project, which will include service to Dulles International Airport, is scheduled to be completed in 2018.